Call Us to Schedule your Free In-Person, No-Obligation Quote Today! If you have any questions about our services or would like a free quote, please contact us and we will get right back to you! US Mow has a 100% Satisfaction Guarantee on All Services. We will do what it takes to make sure that you are proud of your lawn and our service! 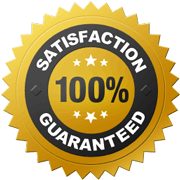 Click here for details about our 100% Satisfaction Guarantee.